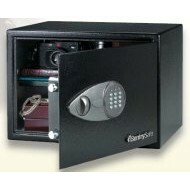 This Sentry security safe is light enough for anyone who needs to take the safe with them. It also comes bolt-down ready for more permanent installation. 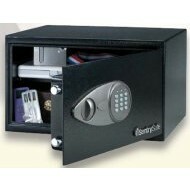 The Sentry X105 security safe is a new line of products designed for laptops. This safe comes with a security cable if you wish to keep your lap top plugged in while stored.The X105 will fit most laptops. Please be sure to measure your lap top and compare it to the interior dimensions of the X105 listed below. 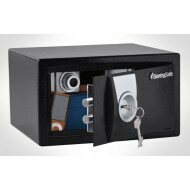 The X125 is a versatile security safe for storing small valuables such as credit cards and keys. You can add to its security by bolting it down. 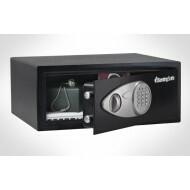 This is the largest of the upgraded Sentry security safes. It fits most laptops and the back is designed to allow the lap top to stay plugged into a socket. Check the dimensions of your lap top to be sure the X125 will fits your needs. The Gardall B2018 is designed for burglary protection and storage of cash drawers. 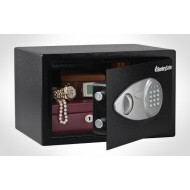 It is also a great compact safe for any valuables and important papers. Its door is constructed of 1/2 inch steel plating. 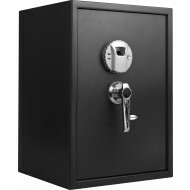 It comes standard with the top of the line UL Group II combination lock which is drill resistant. It also carries the UL B rating, meaning it has been tested for resistance to break in. It has heavy duty hinges and 5 active live-locking bolts. It comes with 1 shelf and four anchor holes with hardware. 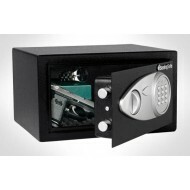 Bolt down your safe for the optimum burglary protection. This safe weighs 214 lbs. If you need indoor delivery please call 877-442-9964. There is an extra charge. 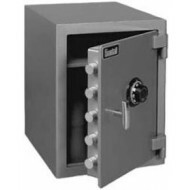 The Gardall B2818 safe is a well constructed safe that delivers maximum security for your personal possessions. 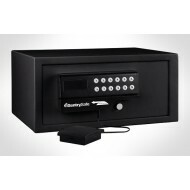 It was originally designed to hold cash drawers and continues a good solution for secure storage. The B-rated (burglary protection) afe deters break-ins and theft with its 0.25" steel thick body, 0.5" steel plate door, five live locking rings, heavy duty hinges. The B2818 features a UL Group II combination lock which is designed to resist drill attack. The body has four anchor holes. Bolting down this safe is a futher deterrent to burglary.